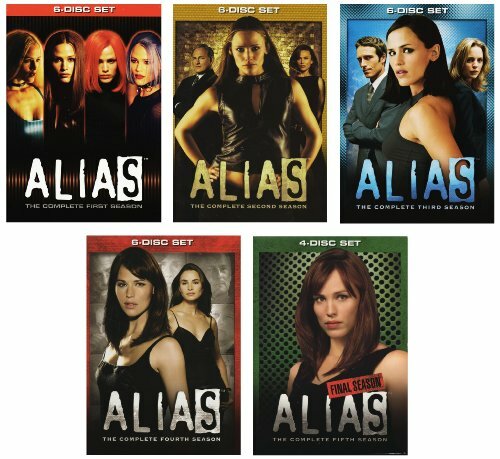 While I was on maternity leave with my first son (nearly 13 years ago), I started binge-watching the Alias series, which kept me awake when I should have been sleeping. This was my first introduction to Jennifer Garner and Bradley Cooper who both captivated me with their performances. With the action and suspense along with the never-ending hair & costume changes Jennifer Garner's character goes through in each episode, there was just something about this show that kept me wanting to watch, "just one more" episode before being able to turn off the TV. It was also my first introduction to J.J. Abrams which says a lot about his work since I will now pretty much watch anything that has his name attached to it.